Teaching locations Ariane Cap: Vallejo, Berkeley Jazz School, skype lessons online at truefire.com. 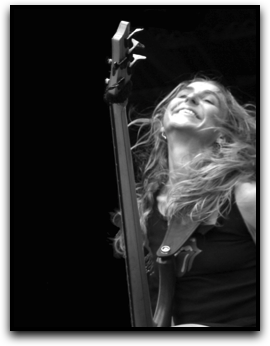 "I've been enjoying hearing Ariane play for a few years now. Her monstrous groove grabbed my attention the first time I heard her. 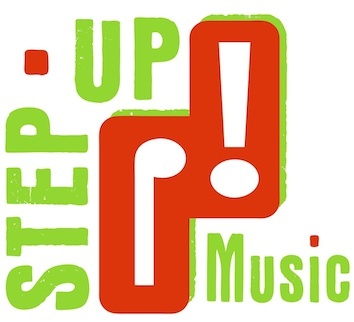 I am happy about the possibilities of Step Up Music. 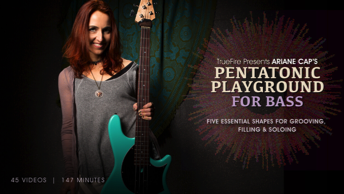 This should be a great benefit to all musicians. I look forward to visiting." Ariane Cap is an Austrian multi instrumentalist, composer, author, blogger, and music educator. Musically active since a very early age, Ariane is a bassist (upright, electric, fretless, mini bass), pianist, vocalist and flutist. She has turned out compositions for Karney Music and Sound, Somatone and Wolftrack audio, regularly teaches at the Berkeley Jazz School, The Wyoming Rock Camp Experience (10 years in residence), the Berkeley Jazz Workshop and her own Music School, Step Up Music. Ariane created online courses for the Academy of Art University in San Francisco. Performing credits include the Celtic Rock Band Tempest, The Kid-punk rock band The Sippy Cups, the African Band The Palmwine Boys, the Austrian funk band The Mozart Band, Generation Esmeralda, Muriel Anderson and Tierra Negra, and Cirque du Soleil as well as many local Jazz, Wold and Rock/Funk artists. She has recorded for multi grammy award winning producer Keith Olsen (Journey, Heart, Fleetwood Mac) ad many others. Ariane also performs a bass solo program using loopers and effects and has recently teamed up with Bassoonist Paul Hanson to create the bass-bassoon duo OoN. 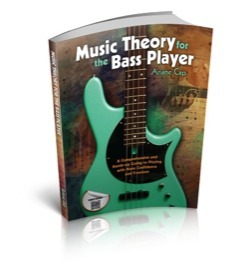 She is also the author of Music Theory for the Bass Player and courses for online education powerhouse Truefire. These products are available here. Her video blog is live at arisbasblog.com. Contact Ariane to study with her remotely via the TrueFire platform. Ariane Cap is the REAL DEAL. A real player, a real teacher, and a real person. For many years she has been an integral part of our camps (as well as other camps) and offers a unique perspective on many things. Oh, did I mention that she can PLAY???!!! • I particularly invite women and girls to pick up the 'axe'! Between the bass master class, private lesson and bass ensemble practice, I feel like I grew so much musically, this past week, Ariane. Thank you so much for helping me "connect the dots" not only between chord progressions but also between what I already know and taking my playing to the next level. Most awesome week, EVER, hands down! Looking forward to connecting again along this journey! PS: Please do use for your website . . . your future students are in for an amazing, discovery-filled musical journey.